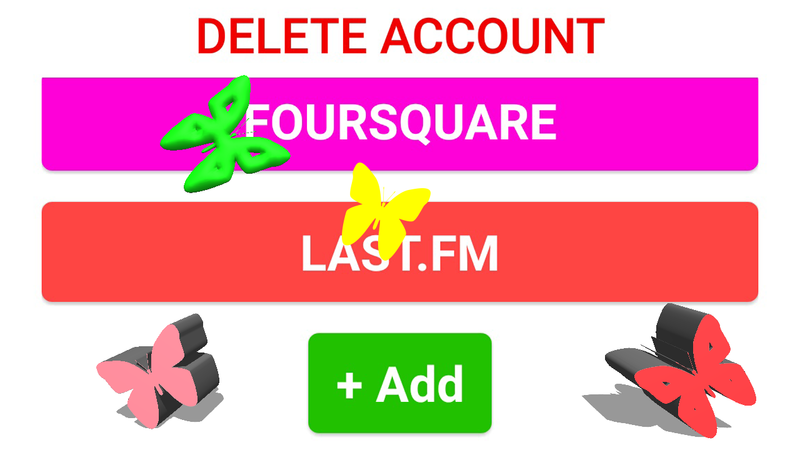 This app helps you to delete your social accounts together. 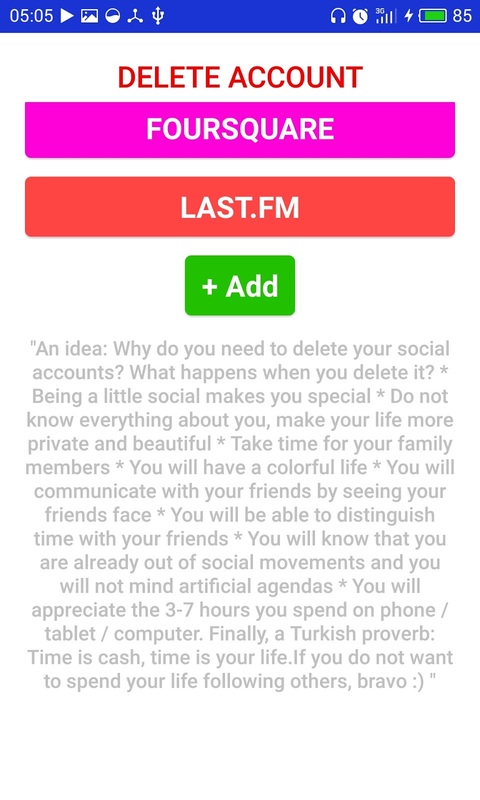 The application gives thumbnail information before deleting the description screens. You will be prompted to click the red button and delete the corresponding account. 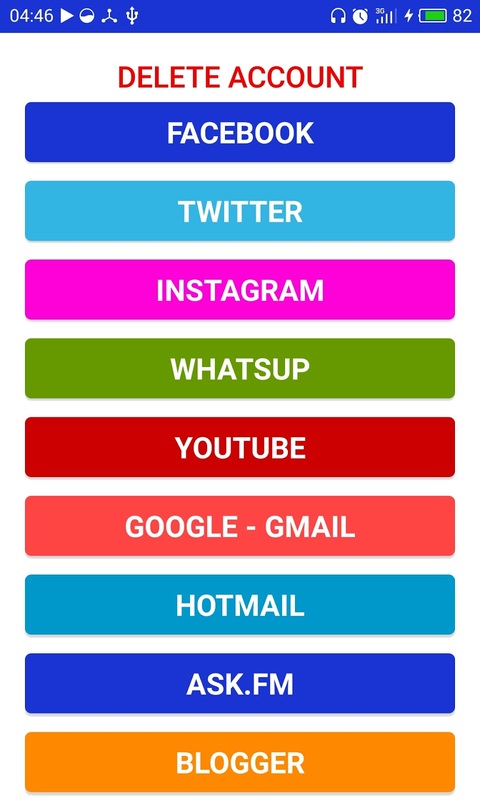 This application helps you to delete Facebook, delete Instagram, delete whatsup and more your account. Aynı isimde kendime ait 4-5 tane facebook sayfam var.. Sadece bir tanesini silebildim.. Diğerlerini nasıl silebilirim. ?